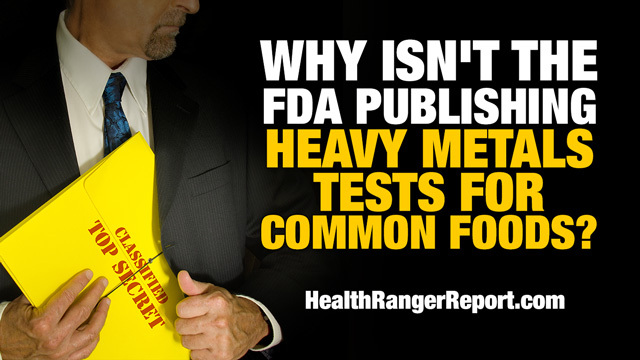 The Health Ranger asks: Why isn’t the FDA testing foods for heavy metals and publishing the results? – Sense of Urgency! Home » Alternative Health News » The Health Ranger asks: Why isn’t the FDA testing foods for heavy metals and publishing the results?